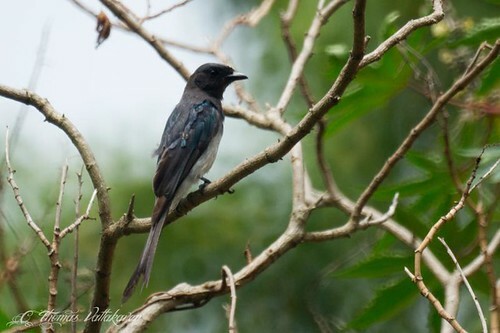 The White-bellied Drongo (Dicrurus caerulescens) is the 4th species of Drongo to be featured here. 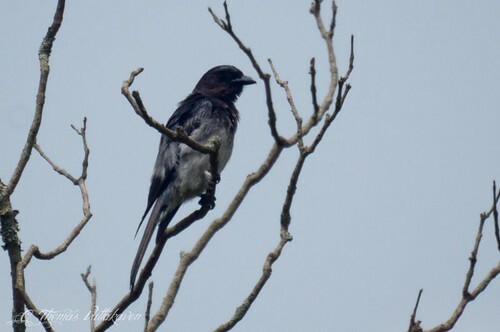 It is black overall on its upper parts like the Black-drongo, but the belly and breast are whitish in colour. Juveniles that are less than a year old have less white and more greyish under parts. 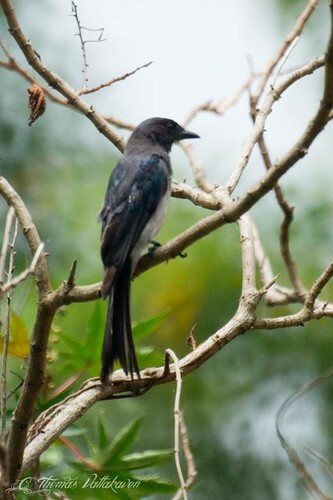 The tail is less forked than that of the Black-drongo. 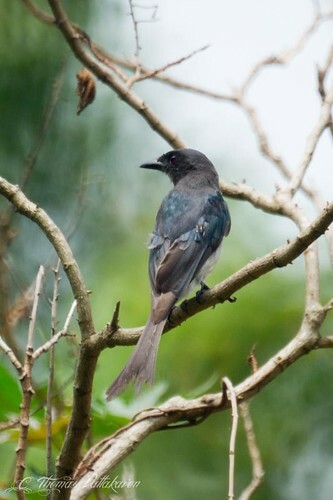 The young Black-drongos too have whitish underparts and can be confused with this species. This species is a resident breeder in India. They are usually found in dry scrubs or in open forests. These birds are often seen singly or in groups. The call of this species is superior to all the other species of drongos. Like other drongos, they catch insects in the air with short aerobatic sallies. Larger insects may be captured using their claws. They are also known to catch small birds. They also imitate the calls of other birds and animals, including squirrels and cats. 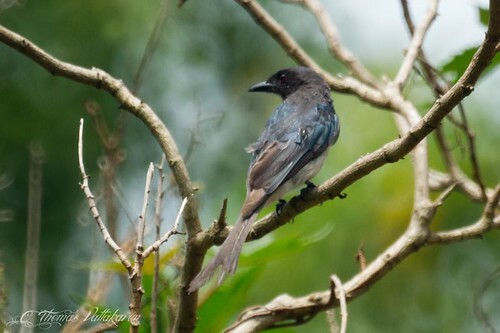 The general habits are similar to the Black-drongo. 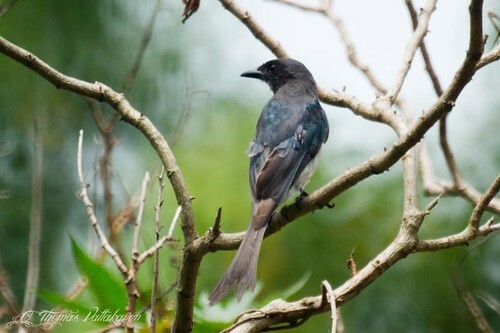 The breeding season is from February to July and the nest and nesting habits are similar to that of the Black-drongo. 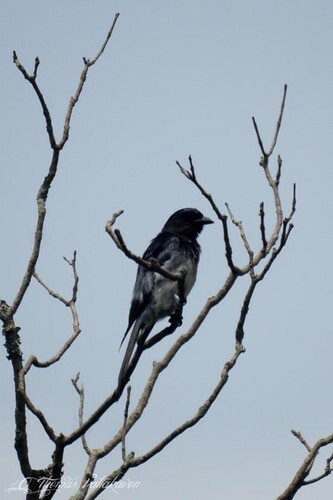 Other Details: Seen sitting singly on tree-top on two separate occasions in the same area.